She got a room with Mapplethorpe at the Chelsea in 1969, where she says, “Everyone had something to offer and nobody seemed to have much money. Even the successful seemed to have just enough to live like extravagant bums.” She fit right in. Today, Patti Smith is an iconic poet and punk rocker who became one of the greats she once admired. She recently spent an hour with Colin while she was in town for a Mark Twain House "Mark My Words" event held at Immanuel Congregational Church in Hartford. She looked back over her life as an artist, a lover of Mapplethorpe, a wife and mother, and as a person she says is a better friend in the abstract than in reality. And, she's really funny. Colin McEnroe & Chion Wolf contributed to this show. This is FRESH AIR. I'm Terry Gross. Today, Patti Smith. 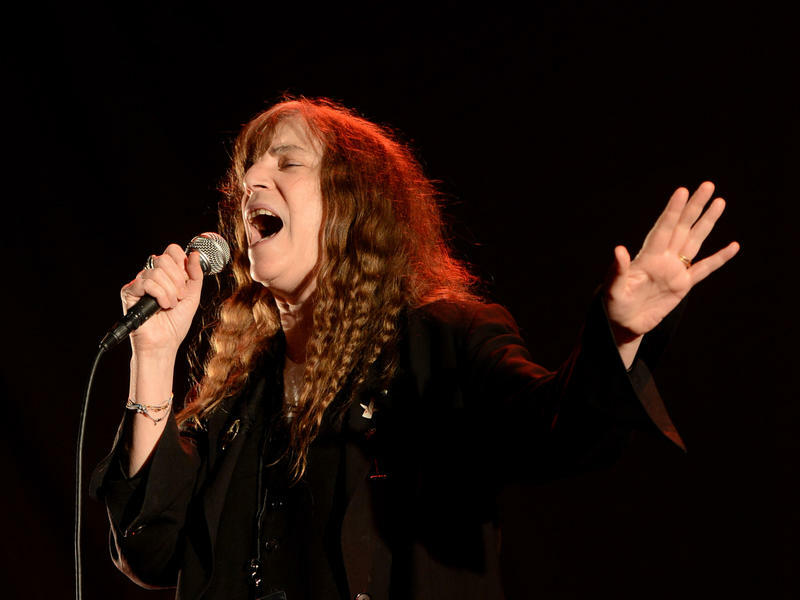 In Patti Smith's new memoir, the "M Train" figures as a Magical Mystery line. She rides it far off into Memoryland, and her snaking Mental trains of thought carry her into reveries on subjects as wide-ranging as her passionate appetite for detective stories and her surprising membership in an elite scientific society devoted to the subject of continental drift.